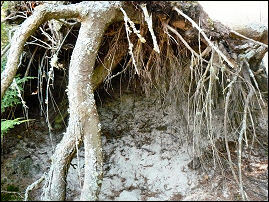 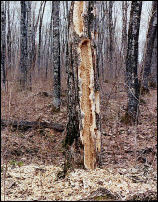 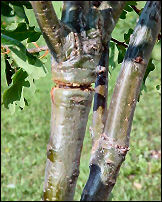 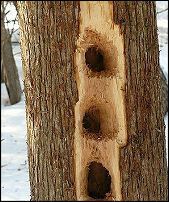 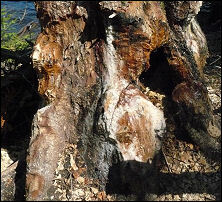 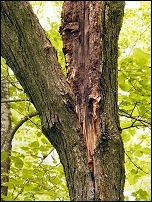 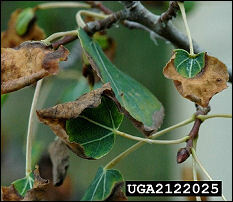 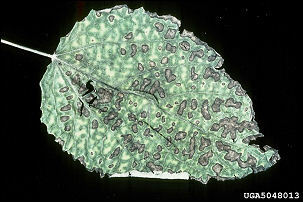 Many things can damage and kill trees beyond the usual slate of insects and diseases. 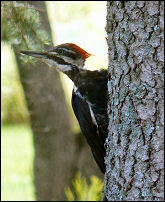 Some are other biological taxa, such as birds or mammals. 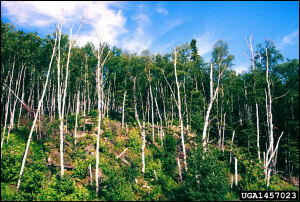 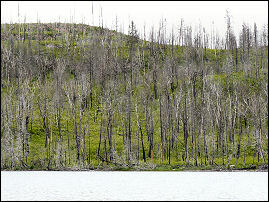 Others are abiotic agents, such as weather and wildfire. 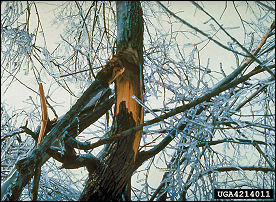 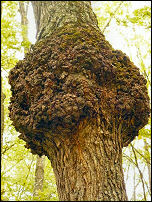 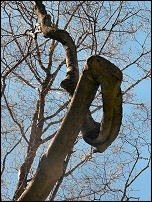 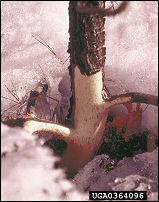 Weather is a big one and often predisposes a tree to insects or diseases. 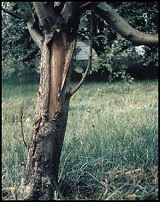 Of course, humans have a significant impact on tree health. 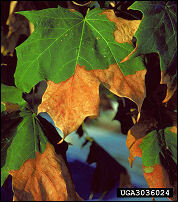 The following page has damage categorized by "Other Biological Agents" (green), "Human Related Agents" (red), and "Abiotic Agents" (yellow). 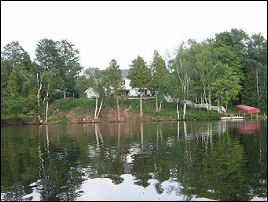 There are many items on this page but more could be added. 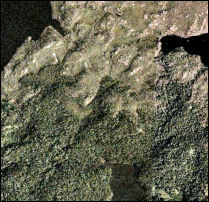 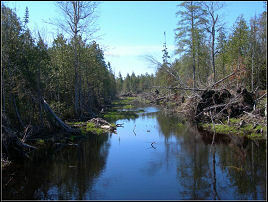 Click HERE to return to the U.P. 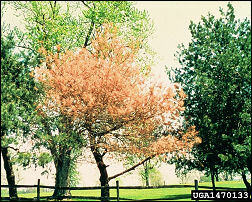 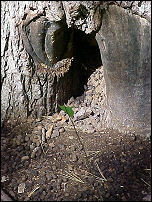 Tree ID home page. 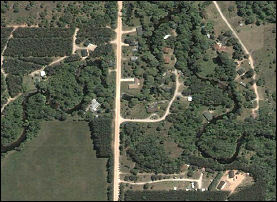 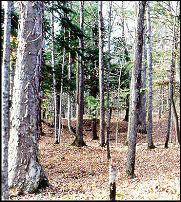 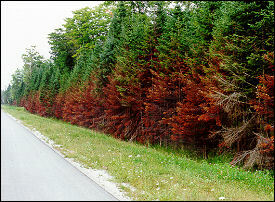 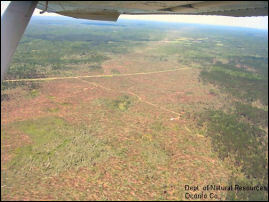 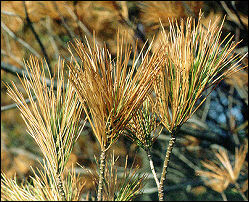 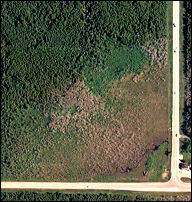 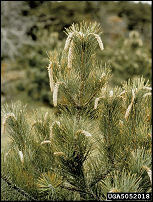 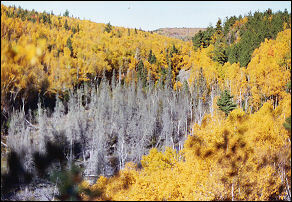 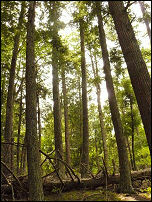 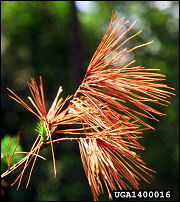 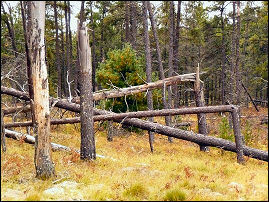 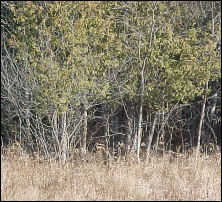 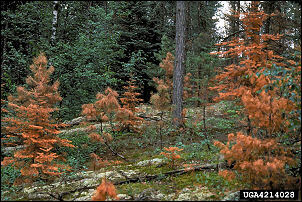 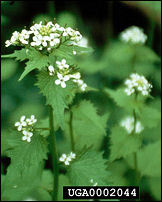 Click HERE to return to the Forest Health home page.